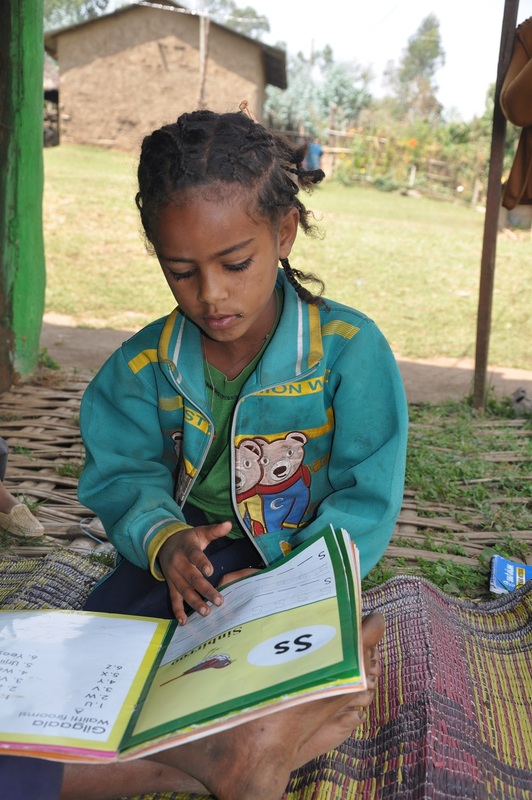 Giduma is currently a grade 8 student in the Nono district of Ethiopia, over 100 km from Addis Ababa. Giduma is the oldest of five children. He has two younger brothers and two younger sisters. Reading Buddies are older students who have been identified by teachers and volunteers as having good reading and writing skills. Although he used to have trouble reading, he’s now known for his academic performance in school. He recently ranked first in his class. Giduma was also chosen to be one of Reading Buddies in his community. Reading Buddies are older students who have been identified by teachers and volunteers as having good reading and writing skills. They are often assigned to help their younger siblings at home. Reading Buddies are one of the community action components in the Literacy Boost programme. “I was very happy when I was chosen as a Reading Buddy," says 16-year-old, Giduma. Wakuma is not only reading at home, but his new skills are paying off in the classroom. He’s improved his grades and now ranks fourth in his class. Next year, Wakuma hopes to be first in his class, just like Giduma. Giduma’s siblings also attend a Literacy Boost reading camp on weekends. Reading camps provide safe, fun, informal literacy lessons to children to support the reading and writing skills they build at school and work with Reading Buddies. Bekelu and her husband have also provided space in their home for their children to practice reading. They call this their “reading corner” which is decorated with books the children have borrowed from their reading camp, and also with arts and crafts they’ve created at the reading camp. By helping his brothers and sisters learn to read, Giduma has also benefited. “I enjoy reading these books. It is helping me improve my reading habits a lot,” says Giduma.